AXIGEN Office Discount is an affordable, reliable and secure mail server, especially designed for home users and small businesses. AXIGEN is available for Microsoft Windows operating systems, many Linux distributions, BSD platforms, Solaris, PowerPC and SPARC architectures. 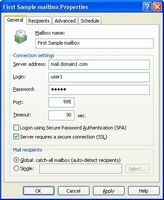 Main Services: (E)SMTP/POP3/IMAP4/WebMail services, Personal Organizer, Groupware and Collaboration features, Mobile WebMail and multiple AntiVirus/AntiSpam support, for 15 users and domains for one year. All services are controled from centralized WEB / CLI Administration, enabling full control of the email traffic. 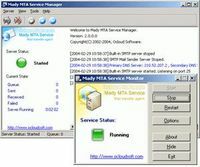 Connectivity and architecture: - Multithreaded engine with module thread control - Simultaneous resource access - Mail storage with index based access Time management and mobility: - Personal Organizer with Calendar/Taks/Notes/Journal - Groupware & Collaboration features - WebMail access from PCs & mobile phones Server Security: - Multiple AntiVirus and AntiSpam support - Multi-layer access control (firewall-like rules) - Authentication/Encryption - SPF and DomainKeys compliance - Country Filtering - Commtouch Real Time AntiSpam Protection Special offer - free 24x7 FIRsT Support for one year! AXIGEN Office Discount is a special version of the AXIGEN Mail Server, available only through AXIGEN affiliate partners and not present on our website. For information on other AXIGEN products, please visit: http://www.axigen.com/mail-server/ Download your copy now!